Burp cloths are the perfect go to item for new moms! These are perfect for baby showers gifts! Moms love these because they are big, soft, and super absorbent. 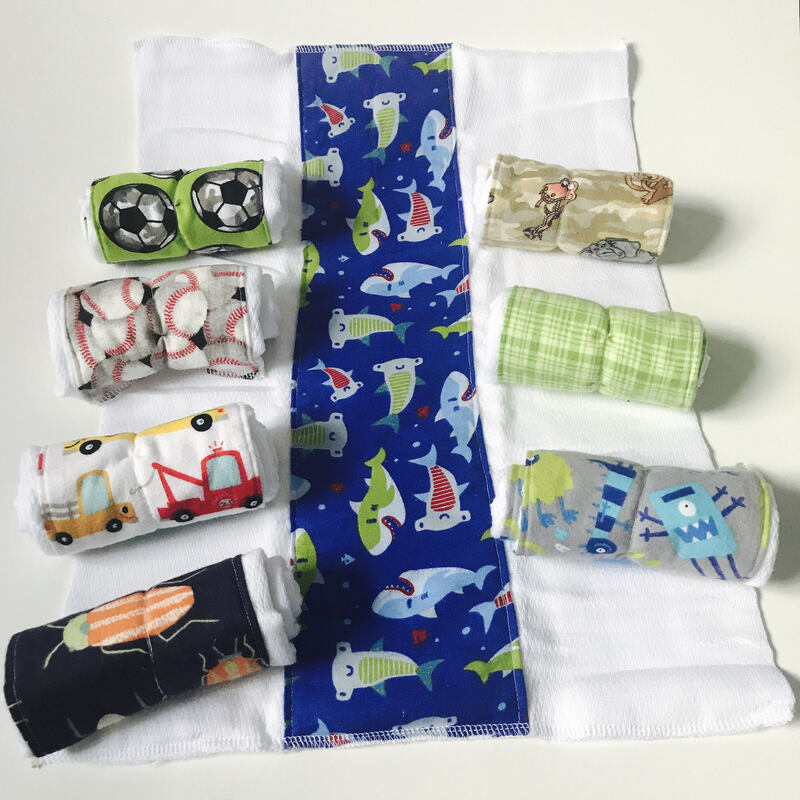 These burp cloths are made from 3ply cloth diapers and super cute and soft flannel fabrics. The fabric choices are listed in photo number 2. If you are wanting a different fabric please DM me and i will see if i can accommodate your request. Some fabric i have in the shop would also be great to put on a burp cloth and you can make a custom set. Turn out time is around 1 week. If you need yours sooner please DM me to make sure I can accommodate your request. Caring for your item: Machine wash cold using mild detergent. No bleach or fabric softener. Tumble dry on LOW then remove promptly or lay flat to dry. *items are not prewashed so some shrinking may occur. This will not affect the overall function of the product.